The Philadelphia personal injury law firm Feldman Shepherd Wohlgelernter Tanner Weinstock Dodig LLP is proud to announce that personal injury attorney and firm partner Roberta D. Pichini was inducted as a Fellow in the International Society of Barristers (ISOB) at its annual meeting in Mexico on March 11, 2013. The International Society of Barristers is an invitation-only, limited-membership society dedicated to preserving trial by jury, the adversary system and an independent judiciary. Its founders conceived the organization in order to bring together the best of the trial bar in a setting devoid of partisan interests where it becomes possible to consider, rationally and in good will, issues of ethics and excellence in advocacy and the role of litigation in society. As individuals, the Fellows of the Society are committed to the highest of ethical standards and to civility in all their personal and professional relationships. Pichini also is a Fellow in the American College of Trial Lawyers and the International Academy of Trial Lawyers, and served as the Academy’s first woman President during 2011-2012. Pichini represents seriously injured infants, children and adults in all areas of catastrophic injury cases and in particular in medical malpractice, product liability and motor vehicle accident matters. She has successfully litigated a myriad of multi-million dollar cases during her more than 30 years of practice. Pichini has been consistently recognized as a Pennsylvania Super Lawyer® by Thomson Reuters, published annually in Philadelphia magazine. From 2007 through 2013, Pichini was named a Top 50 Pennsylvania Super Lawyer®, and a Top 100 Philadelphia Super Lawyer®. 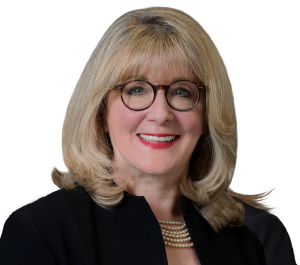 She has been named among the Lawdragon 500 Leading Lawyers in America, is a member of the American Board of Trial Advocates and the Million Dollar Advocates Forum. Pichini was also honored with the Philadelphia Bar Association’s Sandra Day O’Connor Award, which is presented annually to a woman attorney who has demonstrated superior legal talent and accomplishments while furthering the advancement of women in both the profession and the community. Pichini is an honors graduate of the Hospital of the University of Pennsylvania School of Nursing, Neumann College and Villanova University School of Law, where she earned the Order of the Coif honors.